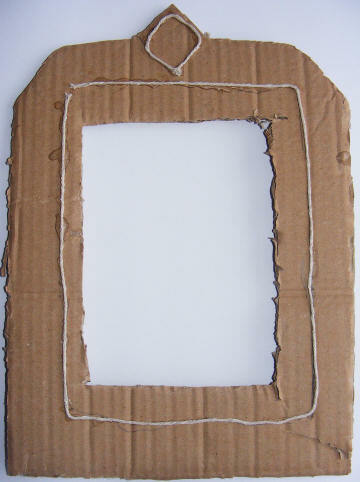 Carefully cut a frame from the thick card. Take special care when cutting out the centre - you might want to ask an adult to help. 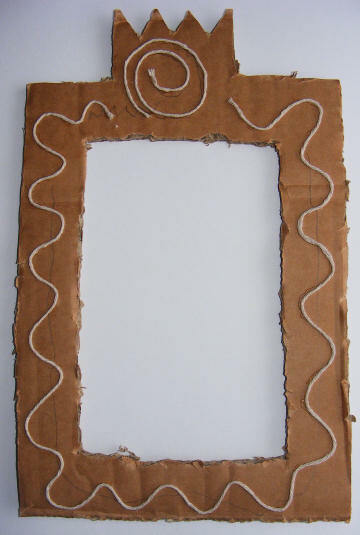 Glue string to the frame to make 'mouldings'. When the glue is dry, paint the frame gold. 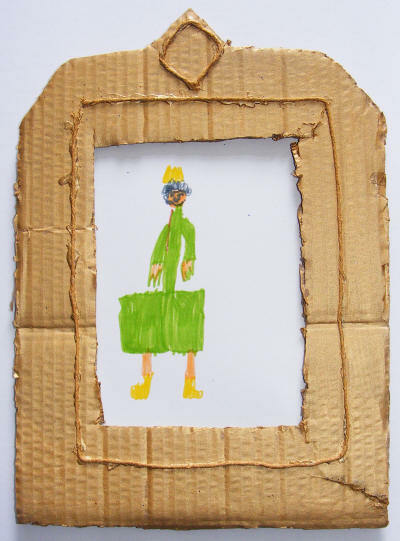 Draw a picture of the queen on the white card. 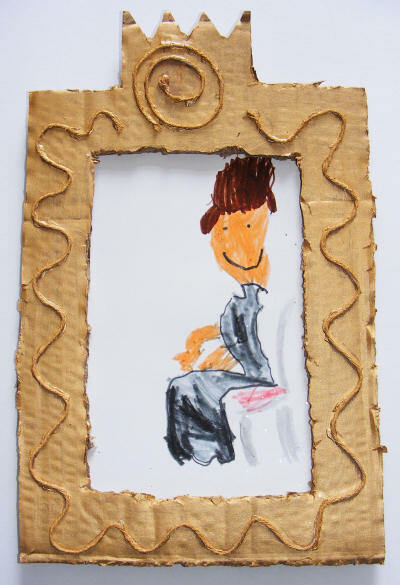 Glue your picture to the back of the frame.